If you are into watching local channels, you've probably seen the super cute and eye-catching commercial of Dove. Just like the rest of the blogging world, I did gave this 2 a try and after 2 full weeks of usage, I'm ready to give my initial thoughts because there's so much to say! 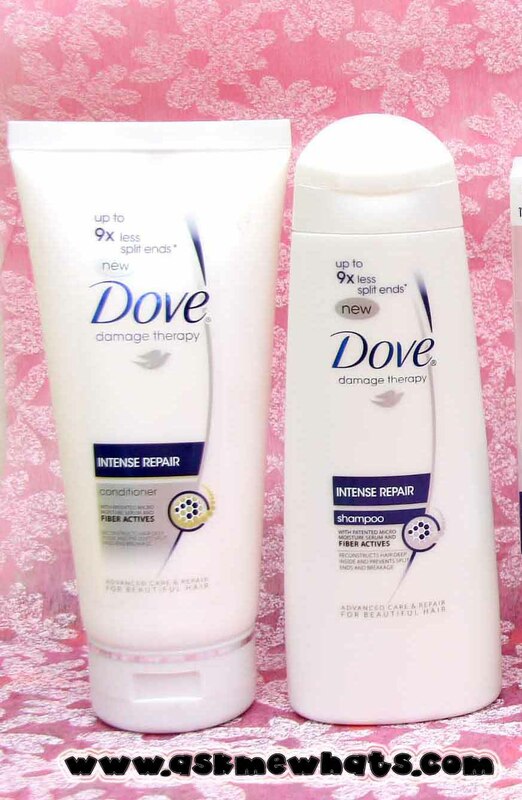 Formulated with Micro-moisture Serum and Fiber Actives, Dove Intense Repair gives your hair superior moisturization and internal repair. Reduces split ends up to 9 times in just 3 washes. Cleanses and boosts nourishment to make hair resilient to damage. I love the simplicity of the packaging! Smells different as compared to Dove Shampoo and Conditioner from other countries but smells really good! Hair feels super soft and easy to comb. The conditioner, I can tell is super potent and feels just like it came straight from a hair treatment "tub" but in squeeze-able packaging. Controls frizz. Let's say it reduces at least 5% of hair frizz. Inexpensive and finally, available locally! Because it is too"rich" in terms of moisturize, oily hair may find themselves oil-up fast int he middle of the day. May cause dandruff. It did a bit on me but nothing exaggerating, I do get dandruffs on ALL types of shampoos and conditioners! I just have to include an anti-dandruff treatment shampoo in between and I'm all set! I am not joking when I talk about this pairing on Twitter, Tara and I both love how soft and smooth the hair IMMEDIATELY feels upon usage! 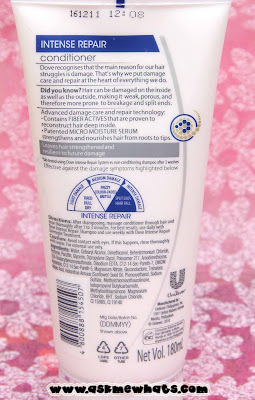 I've been using this for weeks inserting Clarifying shampoo and anti-dandruff shampoo and I'm loving the result! Hair is definitely less frizzy and less tangle (which equals to less hair fall due to tangles). 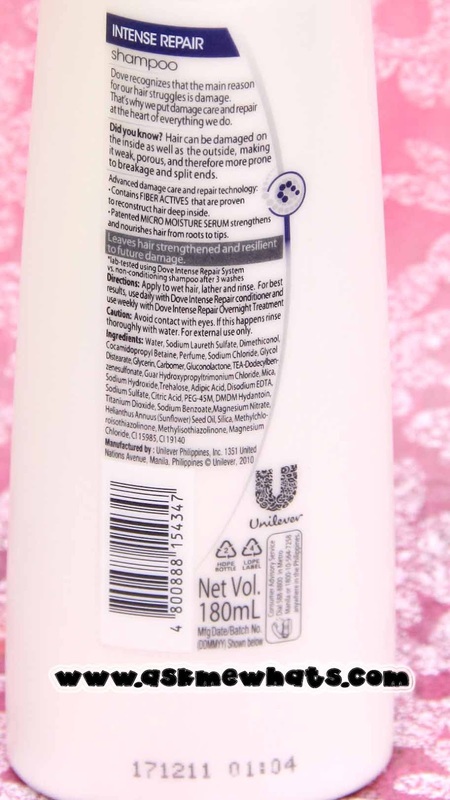 If you suffer itchy scalp or dandruff by using a new type of shampoo and conditioner variant, always insert your trustee anti-dandruff shampoo in between. 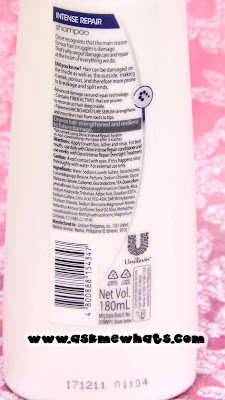 Use clarifying shampoo to remove product build up at least once a week or as long as it works for you! 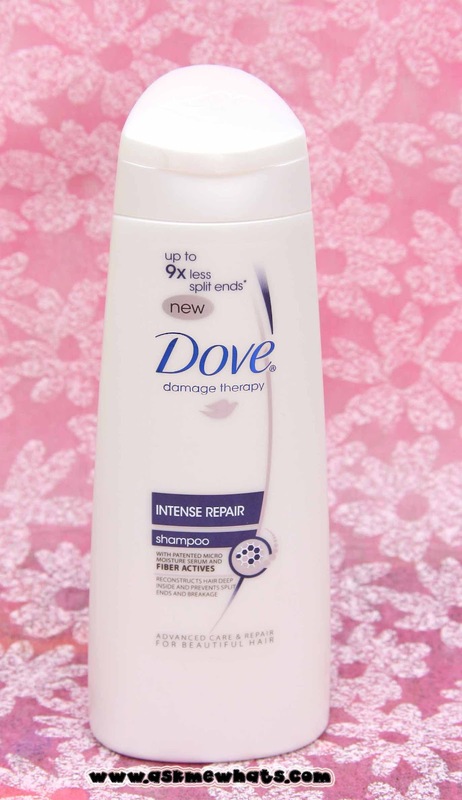 Add water to a small amount of Dove Damage Therapy Shampoo and gently mix between your fingers and massage onto your scalp and the rest of your hair. 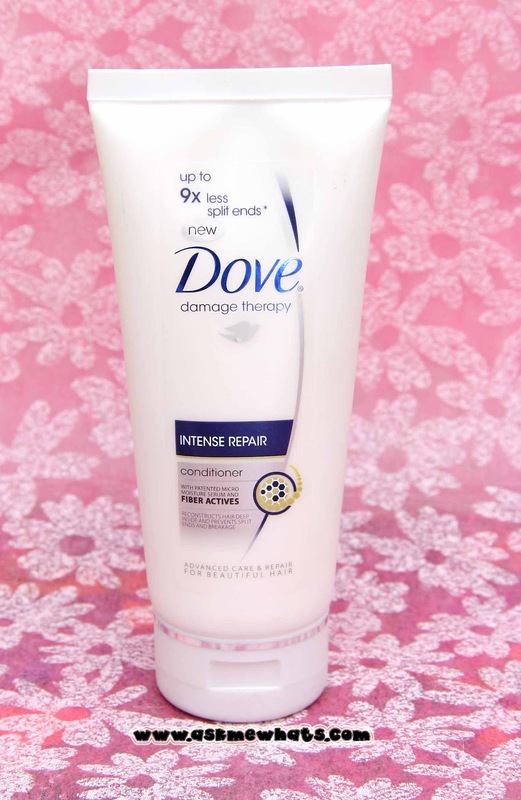 Conditioners are always applied from mid-hair down to the tips. Leave it for at least 3-5minutes or much better, wrap it with shower cap as you wash your body! Anyone who suffers from dry, frizzy hair. Available in leading department stores and supermarkets nationwide for around Php200.00+ (approx $4.65+) both Shampoo and Conditioner added together. 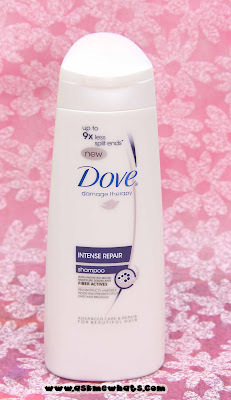 Have you tried Dove Shampoo and Conditioners? I agree, the shampoo itself is super nice! Naturally frizzy hair? I SO have it. 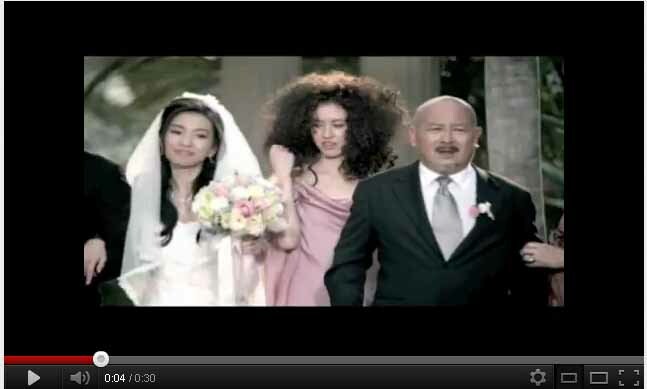 And that commercial is hilariiiious! hhahahah it was hilarious! If you can hear the song of the commercial, it's even funnier! Dove makes excellent shampoos and conditioners. Their Pro-Age line is great too. Oohh I hope we have the Pro-Age line here!!!! mine is the blue and I think the girl I did hair this morning used the pink version and smells REALLY REALLY REALLY good nga! thanks for sharing MS. AMW! I hope it works for yoU! and I believe when you use this on colder season it will really work! Lucky you! I love Baguio!! I want to go back!!! 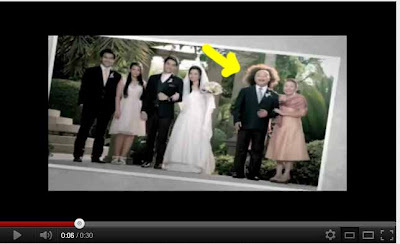 I can honestly tell you that only Dove can really make my hair tame. I used to get it imported from the US so I'm really happy it's available here and now! tried this coz my sister brought home some samples. It smells good. :) hope it does good to your hair too! i love the effect on my hair, it lasted me around 2 days, i just dislike the strong scent. 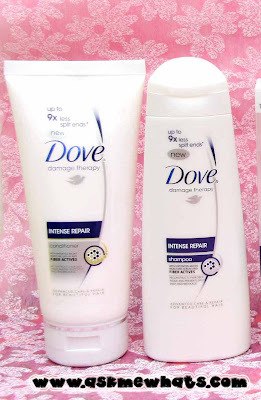 i tried the pink one.smells good and my hair is so soft,para na rin akong nagprebond.dabest talaga ang dove even their soap super like talaga!totoo ang ads nila!